This Anglo Oriental Festive area rug is sure to add to the modern dicor of any home. Instant comfort in your contemporary home is easy with this product. Endure the wear and tear of furniture and foot traffic with this rug. This item's pattern is sure to make a contemporary statement. 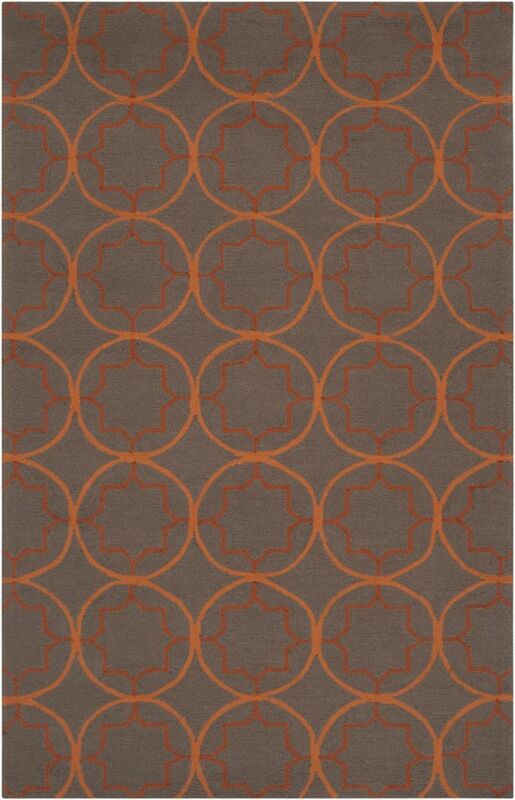 High quality and high style, this Artistic Weavers Alhambra area rug is extremely useful in any home. Decorate the right way with this indoor piece constructed from plush wool material. The hand-made construction of this area rug is sure to withstand wear and tear. Make a bold statement with this animal print patterned brown rug. Place this Artistic Weavers Gael area rug in your dining room when you need a splash of style. Great quality is assured with this indoor piece made out of plush polyester material. Its hand-made construction is sure to endure the constant treading of feet and furniture. Make a bold statement with this floral plants patterned brown rug. Improve the overall interior design of your living room, dining room, or hallway with this Artistic Weavers Panazol area rug. Decor does not have to be hard with this plush wool indoor rug. Its machine-made construction is sure to endure the constant treading of feet and furniture. This brown rug with its floral plants pattern is modern and stylish. Margilia Brown 5 ft. x 8 ft. Indoor/Outdoor Transitional Rectangular Area Rug Add this Artistic Weavers Margilia area rug to your hallway, dining room, or living room for an infusion of style. Crafted to be an indoor/outdoor piece, its plush synthetic material is unique and comfy at the same time. Contemporary comfort comes in the form of this hand-made rug. Upgrade the dicor of your modern home with this floral plants patterned brown rug.